• Video is an increasingly important medium to gamers. In 2012, the amount of time people spent watching gaming videos on YouTube more than doubled over the year before. The growth rate of time spent viewing gaming videos was greater than YouTube's overall growth in the U.S.
• Multi-screen consumption. 1 in 3 views of gaming-related videos occurred on a tablet or smartphone in 2012, nearly double that of 2011. • Viewing peaks during weekends, summer, and prime time. In 2012, game views grew 18% day-over-day on weekends and 17% month-over-month in June. Further, 32% of game views occurred during prime time TV hours. • Subscribers are engaged. Game views from game channel subscribers increased 9X year-over-year in 2012. Those who were subscribers watched game content on YouTube for twice as long as non-subscribers. • Videos from brands and the community matter to console gamers. Gamers watched brand-released and community-created videos in 2012, but relied on them at different times and for different reasons. Before a game launched, fans mostly viewed content released by the brand, such as trailers, gameplay demos and launch videos, to help them decide whether to purchase a title. In fact, people typically consult more sources when deciding what game to buy than what car to purchase. ** After release, gamers primarily consumed community-created content, such as tutorials, walkthroughs, and parodies (specific to the game). • Brand-released and third-party videos are more likely to be commented on and shared. Announce, gameplay demo, and review videos for console games are associated with highly anticipated moments in the game community, and earned the most comments and shares per view in 2012. • Community-created videos are more likely to be “liked” or “disliked.” Voting enables gamers to assess the value of content for the game community. Game powered entertainment, walkthrough, and tutorial videos for console games received the most “likes” and “dislikes” per view in 2012. • Console game video views are an indicator of gamer interest. Pre-launch video views and post-launch game sales were strongly correlated in 2012. Online video is an increasingly valuable medium to gamers throughout the entire game experience, helping them research titles, advance through games, and interact with the gaming community. Savvy brands have developed a clear video strategy on how to engage with gamers during every stage of this journey. For example, Activision Publishing has used YouTube to connect with gaming fans around the launch of new titles such as Call of Duty: Black Ops II. In fact, Activision’s videos have been so popular that they comprised the #1 and #2 spots on our leaderboard of the top trailers on YouTube in 2012. To learn more about the video consumption trends of gamers, download the full whitepaper from Think with Google. *Compete, YouTube Audience Analysis, Q3 2012. U.S.
**Shopper Sciences, Google, 2012, Q2. Given the prevalence of YouTube usage among gamers, we wondered what billions of views could tell us about their video consumption patterns. We analyzed anonymized views of gaming content on YouTube in the U.S. from 2011 and 2012 to learn how gamers behave, what they value, and what this means to game marketers moving forward. We’ve shared our findings in YouTube’s first whitepaper, Gamers on YouTube: Evolving Video Consumption. With Affinity Segments, we make it easy by helping brand advertisers reach their ideal audience via 80 unique lifestyle segments based on Interest Categories and Demographics. Brands can now reach their target audience at scale based on their interests – such as green living, fashion, or travel – and watch engagement grow. project, a series of partnerships with innovative brand marketers and creatives, to explore how modern tools and storytelling techniques are re-imagining advertising. The first project was a Google+ enabled social app for sharing drives, created with Volkswagen, Deutsch LA and Grow. It explores how brands can build relationships with consumers beyond just traditional ad formats. For our next project, we’ve partnered with Burberry to re-imagine how brands can deliver beautiful, emotional experiences across different devices and screens, while reaching a key audience -- millennial consumers. The goal was to accomplish this through the lens of beauty products, while still delivering a luxury experience in a digital environment. Today we’re unveiling Burberry Kisses; it lets you send a kiss (a digital imprint of your real kiss) with a personal message to a loved one anywhere in the world, from any device. You can read about how the experience works on our Google blog, or watch this video below. Built using HTML5, the Kisses experience is delivered across display ads, web and mobile. Modern browser technologies, like WebGL, CSS3, 3D transforms and WebP, allowed us to build a rich experience without compromising performance or requiring custom plugins, or apps. These same open web technologies are allowing brands to deliver magical creative experiences at scale, in a true “build once, run everywhere” fashion. 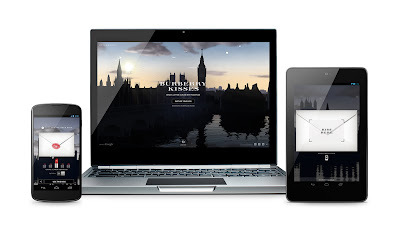 The Kisses experience will be available via a lightbox ad, meaning Burberry can reach millennials on the web at scale via a standard 300x250 display ad footprint, but engage them with the full screen Kisses experience with the ad’s expanded state (which opens up after a two-second hover). This the first time we’re using HTML5, WebGL, and dynamic creative in a lightbox ad, showing the creative possibilities within a large canvas. 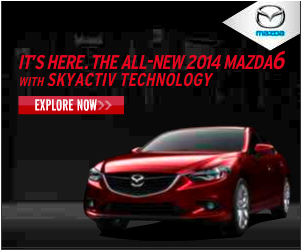 The same experience is optimized for smartphones and tablets, and delivered via mobile rich media ads. It will also soon be featured on Burberry’s YouTube channel. A kiss seemed like a natural focus for this project because it is one of the most iconic symbols of human interaction. By creating a personal-yet-shareable experience that appeals to millennials, it builds a connection to the Burberry brand, without feeling like a traditional ad. Burberry will also install this digital experience in its flagship stores so consumers have the same interaction with their brand everywhere, further blurring the line between physical and digital worlds. To add a personal touch to the interaction, we’ve used dynamic image processing, based on location, that adds unique details to everyone’s experience. For example, as you see your message journey to its destination across a 3D landscape, we added more realism by reflecting dynamic StreetView images into puddles on a city street; local landmarks identify important street names to further bring the experience to life. We're excited about the potential of technologies like this to help unlock of an age of beautiful, emotive digital advertising. This campaign is aimed at showing what that might look like. Today, brands have an amazing opportunity to connect with their audience in ways they will love, remember and share, on any device. We will continue to push the creative boundaries with more such partnerships. Until then, pucker up and send a kiss to someone you love, and share it, like this one I sent to my mom. Lastly, if you’re visiting the Cannes Lions festival next week, please join us for fireside chat on Friday, June 21 at 4:15pm local time, between Christopher Bailey, Chief Creative Officer of Burberry and Lorraine Twohill, Google’s VP of Global Marketing. For more on Art, Copy & Code, please visit our website. Earlier this year, we kicked off the Art, Copy & Code project, a series of partnerships with innovative brand marketers and creatives, to explore how modern tools and storytelling techniques are re-imagining advertising. The first project was a Google+ enabled social app for sharing drives, created with Volkswagen, Deutsch LA and Grow. It explores how brands can build relationships with consumers beyond just traditional ad formats. For our next project, we’ve partnered with Burberry to re-imagine how brands can deliver beautiful, emotional experiences across different devices and screens, while reaching a key audience -- millennial consumers. The goal was to accomplish this through the lens of beauty products, while still delivering a luxury experience in a digital environment. , we heard leaders from top agencies talk about the need for their search teams to streamline workflows using fast, responsive tools that allow more time for strategy in a constantly evolving search landscape. But as digital marketing increasingly becomes multi-channel, multi-screen, and multi-faceted, marketers today have more opportunities to connect with their audiences across a variety of digital touchpoints, beyond search. In addition to fast tools, we heard that marketers also need integrated technologies to help make smarter decisions across the breadth of their digital marketing. Our next video, Search marketing is now smarter, explores how unified platforms can help surface deeper insights through a holistic view of online marketing activity -- within search and beyond -- and how DoubleClick fits in. Holistic view: DoubleClick’s proprietary conversion tracking pixel, Floodlight, lets marketers measure and report on deduplicated conversions across search and display for more accurate reporting. Powerful attribution: DFA attribution tools allow marketers to create and apply custom attribution models to better understand how their marketing efforts are working together to drive conversions. Offline conversions: Because online advertising often fuels offline conversions, marketers can also connect the dots with the DoubleClick Search Conversions API, factoring in conversions that occurred offline (through in-store transactions and other offline activities) for transactions that started from interactions with online search ads. Having a single view of the consumer allows marketers to better understand the interplay between channels, without the mashing up and reconciling of different data sources -- but beyond just having access to data, what seamless opportunities do marketers have to take action on those insights and drive results for their business? Join us next week in the final post of our series, where we’ll discuss how top agencies use platforms to improve performance from untapped cross-channel opportunities in our video: Search marketing is now better. Last week, we heard leaders from top agencies talk about the need for their search teams to streamline workflows using fast, responsive tools that allow more time for strategy in a constantly evolving search landscape. But as digital marketing increasingly becomes multi-channel, multi-screen, and multi-faceted, marketers today have more opportunities to connect with their audiences across a variety of digital touchpoints, beyond search.